One proposed location for a new skate park is overlaid on this satellite image, which shows the Ocean City Fire Department (right), the Clothes Closet (just to the right of the park) and existing parking (left). 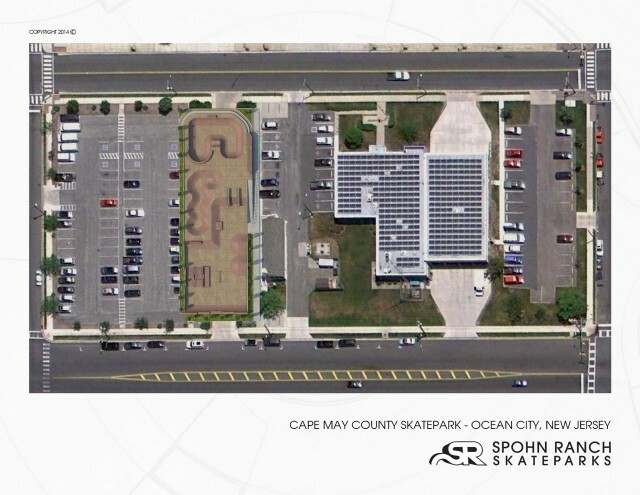 Cape May County freeholders unanimously approved a $500,000 grant on Tuesday night for a new skateboard park in Ocean City. 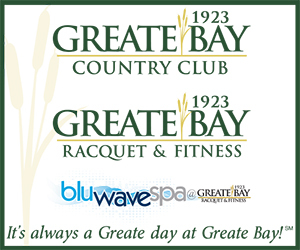 The Board of Chosen Freeholders awarded a Green Acres Cape May County Recreation Grant to Ocean City for the park. The city already has approved a capital plan that calls for spending another $250,000 on the project. The city dismantled a park near Sixth Street and the Ocean City Boardwalk in 2011, citing safety concerns over deteriorating equipment. That park had opened in 2002 at a cost of a little more than $130,000. Since then, the city administration has promised to rebuild the park at the urging of skaters and community members. The county money is contingent on using the location specified in the grant application: adjacent to the Ocean City Fire Department in the block between Fifth and Sixth streets, Asbury and West avenues, according to Councilman Mike DeVlieger, head of a committee of elected officials, city staff members and local skaters who helped plan a new park. The location was the subject of an extended debate at a public forum in April with residents raising concerns about the loss of parking and potential effect on the Ocean City Ecumenical Council’s charitable Clothes Closet that shares the same property. DeVlieger said the skateboard park could be shifted to any location within the approved block, but if it were constructed elsewhere, the city would have to re-apply for the grant. He said City Council still would have to approve the location and design for the park and vote to appropriate its $250,000 share of the project. He said the public would have input at each step. “We have a lot of work ahead,” DeVlieger said. “But this lifts a lot of weight from us. His planning group of local skaters and city officials envisions a $750,000 state-of-the-art concrete park that would be safe, quiet and stand the test of time. The old park consisted of portable ramps and rails. DeVlieger said he understands the concerns of the Clothes Closet and does not want to do anything that would disrupt its operations. “I pledge to forge that relationship successfully,” he said.